It’s, more or less, only four years now before 2019. This was the year in which the science-fictional film Blade Runner was set. Here Los Angeles was made unrecognizable. It was transformed into a city of the future. There were flying cars, humanoid robots, and fantastic architecture. Futuristic design has been seen already but usually those of concept automobiles and planes. Of recent we’ve started seeing appliances designed in such a way. One is the Mr. Coffee Steam Espresso Machine. Looking at the Mr. Coffee Steam Espresso Machine reminded us of the buildings on Tatooine. Its body—which is 12″ x 8.8″ x 12.8″ in dimensions, 5 lbs, and 6 lbs when shipped—looks like a cross between a rocket ship and one of the houses on the fictional desert planet. It’s shaped like a bullet. The hopper’s cover is shaped like a warhead. Underneath it is the drip tray, which to us looks like the transporter on the SS Enterprise. The control knob and several handles stick out of its body like antennae. We believe having such a futuristic design makes the steam espresso machine a stunning centerpiece wherever you’d place it at home. But this doesn’t mean the steam espresso machine is just a functional piece of art. It comes with several features that together enable you to easily prepare nothing but great coffee. Not only does the detachable drip tray help prevent spillage; it also makes cleaning the steam espresso machine a cinch. Not only is the knob placed conveniently on the steam espresso machine to make operation a breeze; it gives you full control by letting you brew and froth separately. The rest of the useful features are: steam-brewing system that ensures you’ll always enjoy nothing but great coffee; powerful milk frother that ensures you’ll always have delicious crema for lattes and cappuccinos; ‘stay-cool’ handle that helps prevent you from accidently burning yourself; drip-free spout that also helps prevent spillage; and measuring scoop-tool and glass decanter with serving measurements, both of which enable you to brew with precision. While the knob is easily accessible, according to a few consumers, being hard to turn renders it not as easy to use as expected. 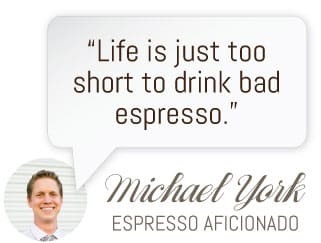 The other drawbacks they’ve pointed are: the reservoir’s lid tends to come off, the Mr. Coffee Steam Espresso Machine itself takes too long to make a strong cup of coffee, and several of its parts aren’t as sturdy as they should be. It, however, has received a good rating of 3 and a half stars out of 5 on Amazon. We believe an appliance should be as aesthetically pleasing as it’s functional. It will be a part of your home’s décor, so it should look great, shouldn’t it? You’ll tire of it otherwise. 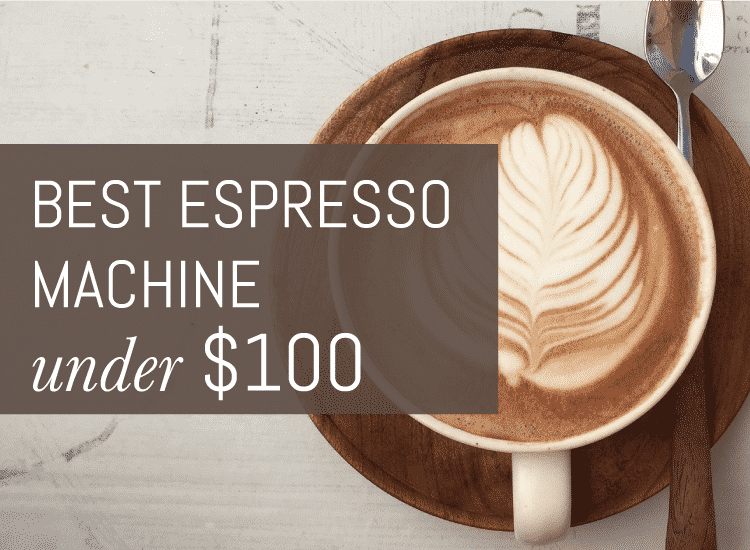 If you want an espresso machine that is effective and stunning, the above steam espresso machine may very well be the perfect one for you.